ALIAI’s tradition to publish since 1908 four times a year the magazine Revue Technique Luxembourgeoise will be continued by the Association da Vinci. 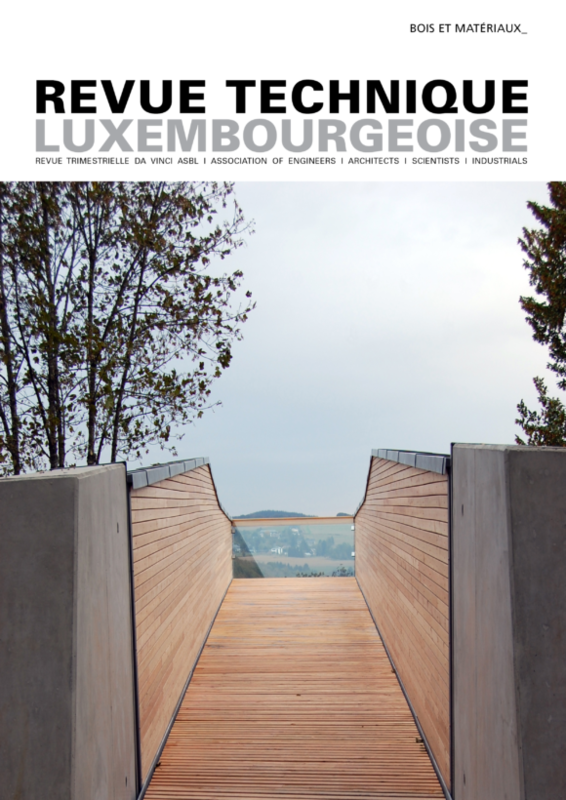 The Revue Technique Luxembourgeoise and its related website allow the partners of the magazine to present their products and inform about their company organisation, while reaching a target public of more than 5000 interested readers. The scientific journal Cahier scientifique de la Revue Technique aims at supporting the development of research and scientific culture, by diffusing and valorising scientific knowledge and methods, and thus contributing to the dialogue between science and society. The scientific journal is published twice a year under the responsibility of the editorial team of Revue technique. It is a professional media support for scientists, technicians, students and any person interested in engineering, technology, research, renewable energies and industry. Each issue includes articles about fundamental research work done by collaborators of our partner institutes and companies. Prior to publishing the editorial contributions are approved by an expert committee of the corresponding domain. We are also pleased to offer a platform to young scientists for presenting their works to the public. The special issues Hors série of Revue Technique are editions, which are published separately or apart from the normal publishing calendar. They offer the editor the possibility to diffuse larger editorial content by means of special supplements or extra publications. The format and layout are consistent with our other publications. The special issues are produced upon request of companies, administrations or dedicated to specific topics. These publications treat in each case a single topic or a set of topics, which has a particular importance for the companies, for research or for specific projects. These publications are considered as specialist publications in the domains ALIAI is active in. Please visit our website www.revue-technique.lu and find the latest magazines (since 01/2010) as well as the archive of Revue Technique. Content © 2010-2007 da Vinci a.s.b.l.